Iphigenia has extensive experience in the organization and management of research and technological development programs, as shown by her participation in 25 research programs. She is a member of the Program Management Board of project BEYOND and Work Package Leader. She is active in attracting financial resources from external sources to finance the activities of the institute and center. Iphigenia has 31 original peer-reviewed publications in scientific journals and 35 papers in conference peer-reviewed proceedings, 4 book chapters, and numerous technical reports. Her work has been internationally recognized by the scientific community. She has been invited to be key scientific contributor to the recent action on global observation of urban areas (Global Urban Observation and Information Task, SB-04). She has been Editor and Guest Editor of special publications and special issues, she has participated in the Program Committee of the Second International Workshop on Earth Observation and Remote Sensing Applications (EORSA 2012) in Shanghai China. She is reviewer of top Earth Observation journals (incl. Remote Sensing of Environment, ISPRS Journal of Photogrammetry and Remote Sensing, ΙΕΕΕ Transactions on Geoscience and Remote Sensing, IEEE Journal of Selected Topics in Applied Earth Observations and Remote Sensing, Sensors). She has been invited to give lectures to research groups and organizations (Imperial College London, DUTH and others). In October 2013 she will give seminars at Indiana State University and the NASA Marshall Space Flight Center, Earth Science Office. Iphigenia is also representing IAASARS in the Greek national platform for disaster reduction (part of the international Hyogo Framework for Action – HFA) and is Member of the Societal Benefits Implementation Board, SBIB, of GEO international initiative. She has active collaborations with national, European and international entities. .
Iphigenia is key scientific contributor in GEO SB-04 Global Urban Observation and Information Task. 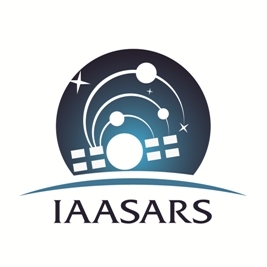 She is also representing IAASARS in the Greek national platform for disaster reduction (part of the international Hyogo Framework for Action – HFA).